Does your company have a written policy regarding whether employees may “bring your own device” (BOYD) for work? If not, you need one. At a minimum, your company policy should clearly state whether employee-owned devices may be used in the workplace or to access company data, and if so, in what circumstances. 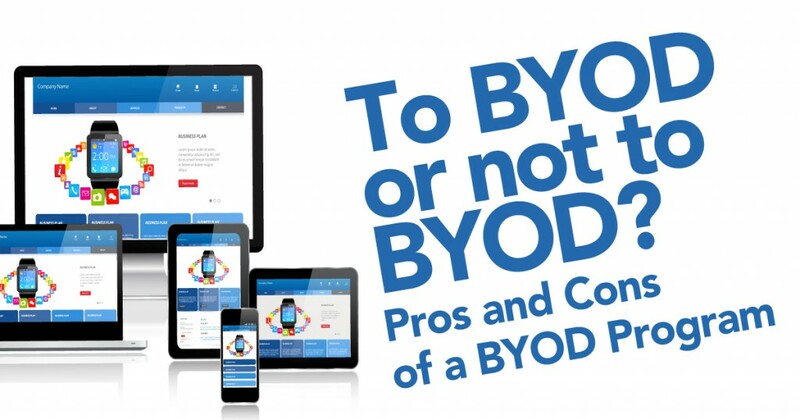 If your company has not already determined what the policy should be, there are risks and benefits of allowing BYOD that you will have to weigh. Two options for employees to use mobile devices for work include “Bring Your Own Device,” in which an employee purchases a device and uses it for work, and “Corporate-Owned, Personally Enabled” devices, or COPE, , involves issuing company-owned devices to employees. Each program has benefits and risks and you will need to determine what program fits best within your corporate culture. The last 18 months have been a bonanza for cyber criminals. In January, 2014 Target announced that personal information had been stolen from over 110 million accounts; over 83 million accounts at JP Morgan were hacked in August and in September Home Depot acknowledged that 56 million customer accounts were accessed when its payment system was breached. Other well known companies were victimized as well: Neiman Marcus, Yahoo! Mail and even PF Chang’s China Bistro all reported major breaches involving customer data. Just before the start of the 2014 Thanksgiving holiday, news reports began to emerge about a potentially significant data breach at Sony Pictures. Have you ever been overwhelmed by a document dump? If your adversary “dumps” a large amount of data on you, with little regard for relevance or organization, how do you deal with it? Years ago, you would have sent associates to a warehouse where they would pour over pages of moldy and musty documents and return with a few hot documents in a few months. Now, the volumes produced make that nearly impossible and prohibitively costly. Leading judicial voice in the field of Technology Assisted Review, US Magistrate Judge Andrew Peck, is at it again. Three years after his seminal Opinion asserting that Technology Assisted Review “is an available tool and should be seriously considered for use” in Da Silva Moore v. Publicis Group & MSL Grp., 287 F.R.D. 182 (S.D.N.Y. 2012), aff'd, 2012 WL 1446534 (S.D.N.Y. Apr. 26, 2012), he is revisiting the issue of TAR’s place in the e-discovery landscape in Rio Tinto PLC v. Vale S.A., Case No. 14 Civ. 3042 (Mar. 3, 2015 S.D.N.Y.). he first two steps in the Electronic Discovery Reference Model are Information Governance and Identification. To be effective in each of these steps, you will need a data map. The last thing you want is to explain to a judge after a 26(f) conference that you’re “still trying to locate and understand the data” your client has stored. They have had the entire life cycle of their business to understand it; the fact that you or your outside counsel must scramble to do it now is unlikely to help your case. Further, with the increased focus on cooperation in the discovery phase of litigation, it is important to know what you have and how to meaningfully talk about it.